2018 is a big year for us as it’s actually our 20th birthday. Our first founding project began in 1998 producing the communications for an International Diabetes Congress held in Mexico City in 2001. 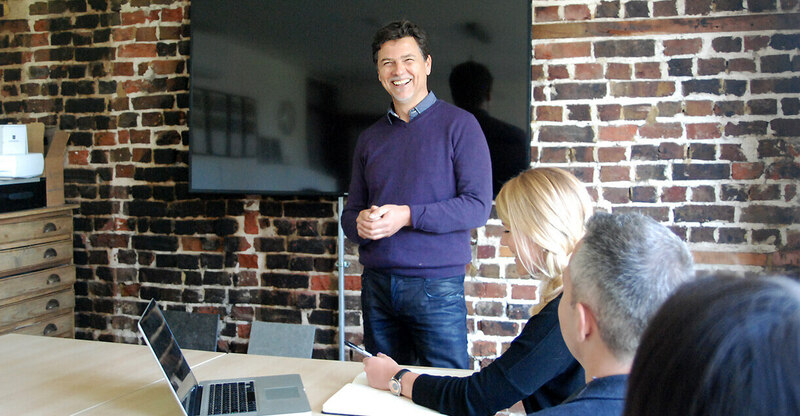 We have a core team of four people: Founder and Creative Director Nick Davis, Technical Director Chaz Warriner, Account Manager Tim Rabjohns and WordPress Developer and Project Co-ordinator Emma Papper. We have a studio in central Brighton, located just off the Old Steine. If you would like to pop in to see us we would be happy to have an informal chat about the aspirations you have for your brand, business or product. We promise to make you a decent cup of tea or coffee or something slightly stronger if it’s a Friday afternoon. No. We are happy to travel to any meetings in London and along the South Coast if needed. Most smaller projects can be handled remotely. We tend to work with clients within a fifty mile radius of Brighton, but have also worked on global projects with clients based in Germany and the USA. We will answer any queries on the services we offer, just drop us a line or call us on 01273 690087 . If you would like to work on a Neujuice project please send in examples of your work or experience. We are always on the hunt for talent, wherever you are located.